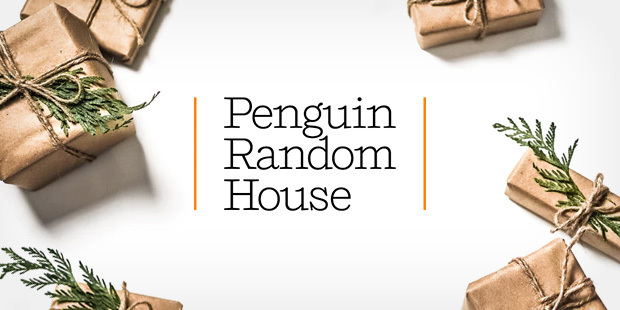 With the books we publish and through our charitable partnerships, Penguin Random House is committed to making a positive difference in the world. Read on to learn about our various holiday giving campaigns and how you can join us in creating positive social and cultural changes, locally and globally. Here at Penguin Random House, we believe that there’s nothing quite like the immersive, imagination-inspiring power of books, and we’ve partnered with zulily, the online retailer obsessed with bringing special finds to its customers every day, to help provide books to children in need across the United States. Zulily is leading its third annual holiday giving campaign, launched November 1 and running through December 12. This holiday campaign, created through our longstanding relationship with zulily, is a great way to support our community of readers. Special sales events during the campaign feature a curated selection of children’s books. Each Penguin Random House book purchased labeled with the “BUY 1, GIVE 1” badge will trigger a new children’s book donation (up to 100,000 books total) from Penguin Random House to national literacy group First Book, a nonprofit that is dedicated to creating equal access to quality education by providing new books and other essentials to children in need. A book donation will also be triggered each time a shopper likes, shares, or comments on a Books for Kids social media post. To give children the gift of reading this holiday season, visit zulily.com and zulily’s social pages: Facebook, Twitter, Instagram and Pinterest. Visit here for full campaign details. Supporting literacy efforts and offering books to people in communities where few are available are at the forefront of our charitable giving objectives. That is why from November 27 (Giving Tuesday) through December 4, all purchases made through PRH.com included a donation to our long-term partner organization Worldreader. Worldreader is a nonprofit championing digital reading in underserved communities and the developing world, especially sub-Saharan Africa, to create a world where everyone can be a reader. A $1 contribution with each purchase from Penguin Random House will ensure that one new ebook is made available to students in Worldreader programs. In addition to this Giving Tuesday pledge, Penguin Random House renewed a donation of more than 500 diverse titles for use by Worldreader. This program will specifically support Worldreader’s School Reading program which delivers e-readers loaded with relevant and informative digital books, along with teacher support and community engagement activities to improve the educational outcomes of students and encourage reading both inside and outside of school. In total, this program provides readers with 520,000 ebook titles. With this Penguin Random House contribution, Worldreader will now be able to offer an even more diverse and expansive array of ebooks to their growing base of readers around the globe. Last Chance to Give the Gift of Books from Penguin Random House! We are delighted to extend this special promotion to help you stock up on books (yours or others’) and help those in need this holiday season. For every book you order through this promotion, we will donate one Penguin Random House book (up to 5,000 books) to our partner First Book in support of underserved children and families across the United States. Thanks to the support of our authors, we have sold more than 3,000 units through this promotion! Alex Hill is Assistant, Corporate Communications for Penguin Random House.